It’s time to go Rambo in this Wicked party package! 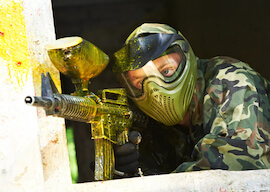 Prepare to come under fire as you make your way through an awesome tactical battleground with your mates at Hobart’s top paintball arena. You will also have to prepare yourself for another type of battleground, as you enjoy VIP entry to Hobarts leading gentlemen’s club, and celebrate the end of your Buck’s bachelorhood! One night’s accommodation, transfers and a delicious group dinner are all included – Rambo himself would enjoy this party package! Check in to this CBD-based hotel to kick off your ultimate Bucks party! This hotel has all you need for a great stay, including facilities like flat screen TVs and free Wi-Fi. Accommodation upgrades are available, simply ask your party planner for detail. 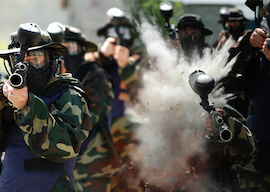 Battle it out with your mates (or enemies) at this awesome paintball arena! 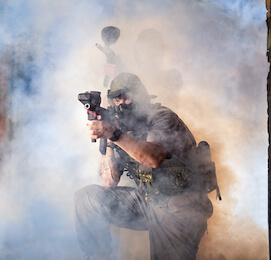 With different battlegrounds available to choose from, and all your equipment provided, you will use your armoury of 300 paintballs to take down your opposition. This tactical environment comes complete with obstacles, barricades and awesome sniper positions to use to your advantage – just make sure your Buck gets a little more attention than everyone else! 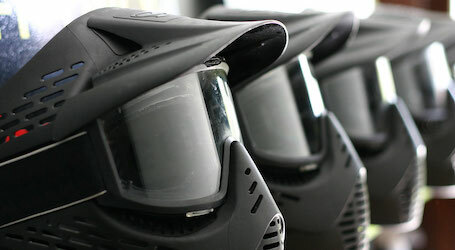 No need to worry about getting yourself to and from the paintball battle – we have organised bus transfers for the whole group! The busses have air-conditioning and comfortable seating, so all you have to do is attend to those colorful bruises! 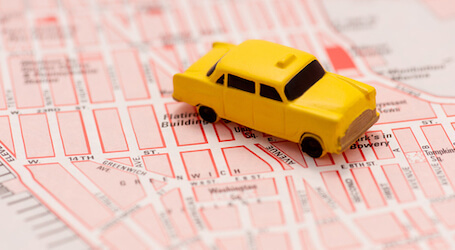 This quirky, retro establishment has no shortage of character! Enjoy the relaxed vibes as they serve up some of the most mouthwatering burgers and sides in town. 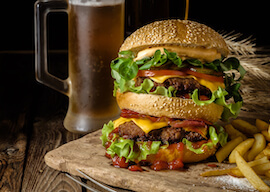 There is something here for everyone as their talented chefs use the best local produce to produce their quality burgers, sides and heavenly shakes. 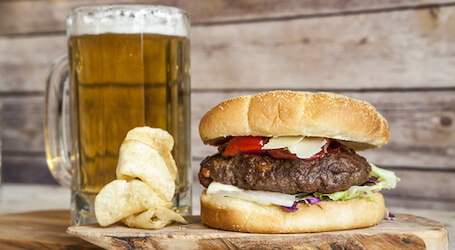 Your party group will enjoy a burger and beer meal deal before you begin your night out on the town! There is nothing like being treated like a VIP! We have organized for your party group to receive VIP treatment at Hobart’s leading gentlemen’s club. Skip the queue and get to the action faster! You will also have the exclusive privilege of enjoying a one girl stage show, for your eyes only!